Here is what you can do at home....If this doesn't work, call us for an appointment. There are many spot removal products on the market, but some are not anymore effective than what you can create for yourself. One helpful hint would be to always work from the outside of a spot towards the middle, so that it doesn't become larger if you are unsuccessful! 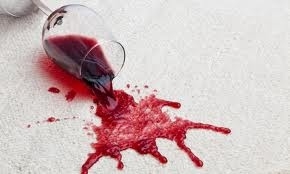 Even if you don't have any mishaps, you should always have your carpet thoroughly cleaned every 12 to 18 months. If you decide to do it yourself rather than hire a pro like ourselves, you need to keep a few things in mind.